Step out of Las Vegas to go to Boulder City and see Hoover Dam, which is approximately 50 minutes away. 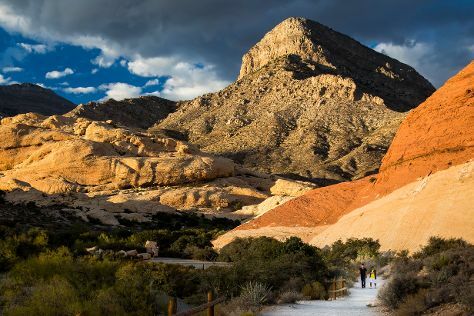 There's much more to do: explore the stunning scenery at Red Rock Canyon National Conservation Area, push the limits with an extreme tour, see the interesting displays at The Neon Museum, and ponder the design of Bellagio Fountains. To see other places to visit, traveler tips, reviews, and other tourist information, use the Las Vegas tour itinerary builder website . If you are flying in from Brazil, the closest major airports are McCarran International Airport and Laughlin Bullhead International Airport. In March, daily temperatures in Las Vegas can reach 27°C, while at night they dip to 13°C. Finish your sightseeing early on the 12th (Tue) to allow enough time to travel back home.